2. Joseph C. Culberson. 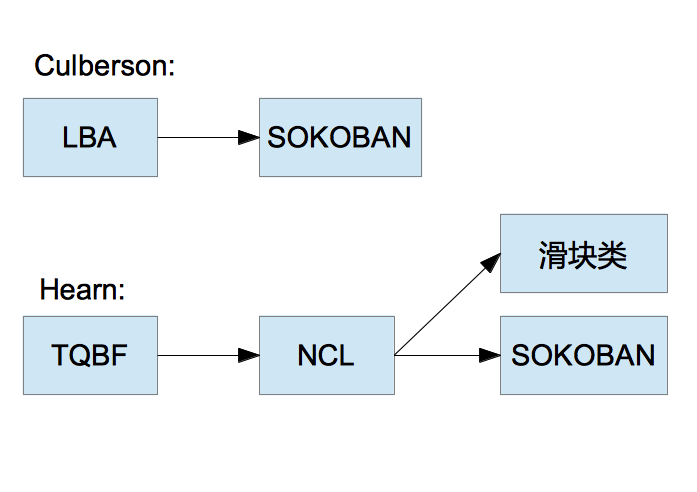 Sokoban is PSPACE-complete. Technical Report TR 97-02 of Dept. of Computing Science, The University of Alberta. April 1997. 3. Robert A. Hearn, Erik D. Demaine. PSPACE-completeness of sliding-block puzzles and other problems through the nondeterministic constraint logic model of computation. Theoretical Computer Science 343 (2005) 72-96. 4. Robert A. Hearn, Games, Puzzles, and Computation. PhD Thesis of MIT. June 2006.